When looking for a Hialeah, FL hair transplant - look at Dr. Shapiro's Hair Institute. Dr. Shapiro provides hair transplant services to residents of the Hileah area - just minutes from his offices in Hollywood. Dr. Lawrence J. Shapiro has provided hair transplant services with two locations in Hollywood and Delray Beach for many years and has done over 11,000 procedures. Experienced, professional, affordable, with 24/7 support for questions after your hair transplant. Our hair restoration clinic is located at 3990 Sheridan Street, Hollywood, Florida. If you are staying in Hialeah while you are here in Florida for your hair transplant, the Amelia Earhart Park is pretty interesting, and lots of people enjoy the famous Hialeah racetrack - for horse racing. Top rated restaurants are Shula's Steak House, the Cancun Mexican Grill and the Sicilian Gourmet Pizzeria. Of course there are many more things to do and see in the area. 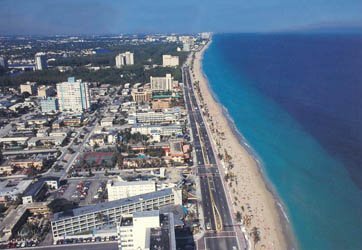 Check out our other travel pages on our sitemap for to do's in locations near Hialeah.